Event Description : MUSIC "Zikrr" Band Live on Christmas Eve. This weekend, join us in the mystical musical journey as Zikrr – The Band is all set to blow your mind with their soul-touching performances here only at Lanterns Kitchen & Bar. The Delhi based fusion rock band will be enthralling the audience with their beautifully done compositions all through the night. So, come and soothe your senses with their enchanting live performance in the most relaxing way. 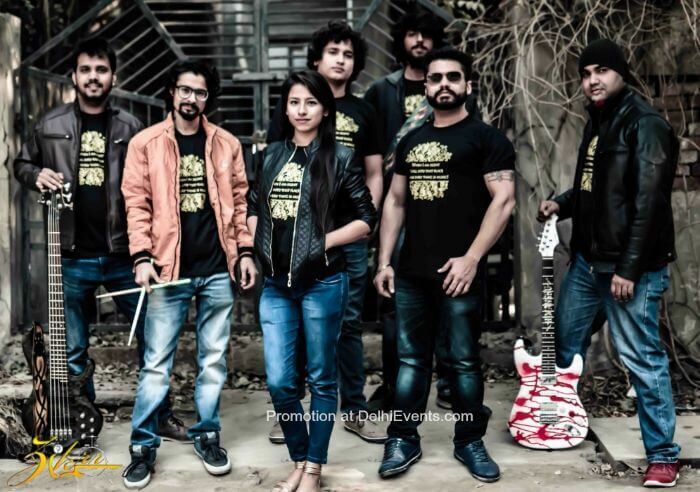 Zikrr is a Delhi based fusion rock band. Well-known among the music lovers and fraternity, this seven member band doesn’t only ensure that they live up to their name but makes sure to give a new definition to music via their electric fusion of Sufi folk numbers laced with a contemporary rock twist. The band consists of ​Nidhi Gussain and Jatin Arora (Lead Vocalists), Mohit Sharma (Bass Guitarist), Lavanya Khanna (Keyboardist), Himanshu Rai and Dhruv Yadav (Guitarists) and Max Sharma (Drummer).